Loading of this page can take a while, depending on the speed of your internet-connection. Errors expected. Pic. similar. For further details please click on the photo! Product-description: This cord is the most popular within the AUDIO-TUNING-PITHAN-program and has been sold more than 300 times! It is used by numerous leading HiFi-companies for trible price or even higher. Standard length is 1m, this cord can replace the thin one, which is usually delivered together with a new stereo-device in many cases. Since there are no dynamic limits, it is also suitable for connection of powerful amps. 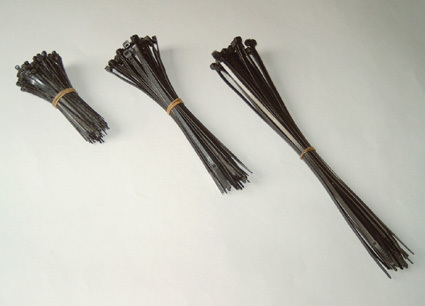 Construction of the cord: Despite the cord has a thickness of 11mm, it is enough flexible. The shielding has contact to the ground earth of the mains plug. By that means the cord is not sensitive against electromagnetical influences and on the other hand can´t influence other cords or components in a negative way. Furthermore, the single wires are twisted to compensate distortions. This is an advantage, especially if it can´t be avoided that the powercord runs close to or even parallel to other signal-cables. Because of it´s transparent insulation it shows an impressive and valuable appearance. It is terminated with 3-pin high-end mains- and device-plugs (phase, ground and protection earth) for best contact. The phase in marked on both ends with a dot. Different length on demand. Sound description: This cord reduces distortions which can influence other cables and components and adds an unexpected freshness to every music performance and more naturalness to all instruments and voices. The high-range comes clearer and with better resolution, the bass-range is more controlled and more colourful. If heard in direct comparison to other much more expensive cords, from so called „established“ brands, this cord undoupted shows it´s superiority. 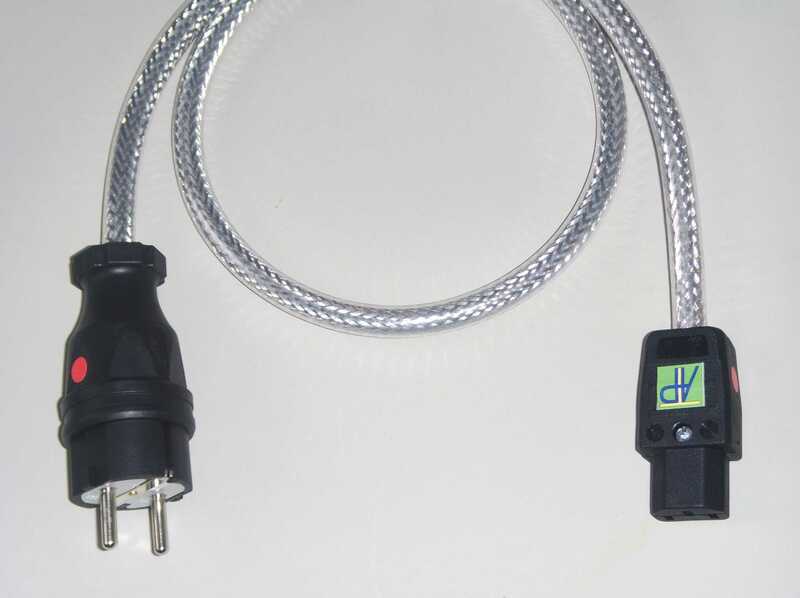 Product-description: This powercord corresponds to the above described L125, however it was optimized in the following points: 1.) Close to the device-plug a ferrite-filter is attached, which reduces high-frequency distortions. 2.) 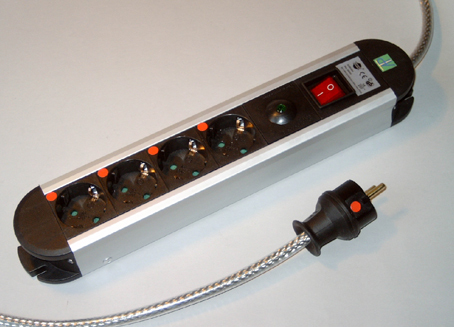 The mains-plug is an improved type from the well-known german quality brand Popp. Different length on demand. Sound description: The cord has a similar sound-performance as the L125, however the bass range is a little tighter and deeper. Due to the better distortion reduction, the realism of music is a little higher compared with the L125. 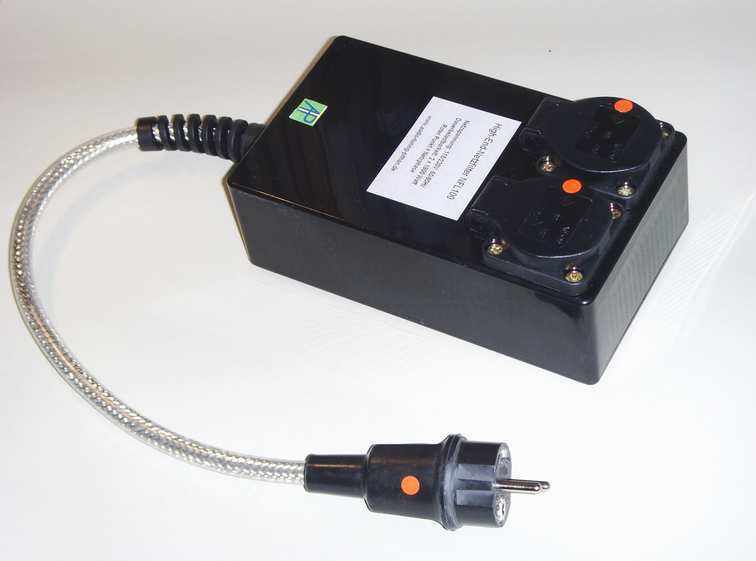 Product-description: This extension can be used, whereever the connected powercord at a device - e.g. multiple socket outlet - is too short. Construction of the cord: Despite the cord has a thickness of 11mm, it is enough flexible. The shielding has contact to the ground earth of the mains plug. By that means the cord is not sensitive against electromagnetical influences and on the other hand can´t influence other cords or components in a negative way. Furthermore, the single wires are twisted to compensate distortions. This is an advantage, especially if it can´t be avoided that the powercord runs close to or even parallel to other signal-cables. Because of it´s transparent insulation it shows an impressive and valuable appearance. It is terminated with a 3-pin high-end mains plug and -socket (phase, ground and protection earth) for best contact. The phase in marked on both ends with a dot. The length is 2m, different length on demand. 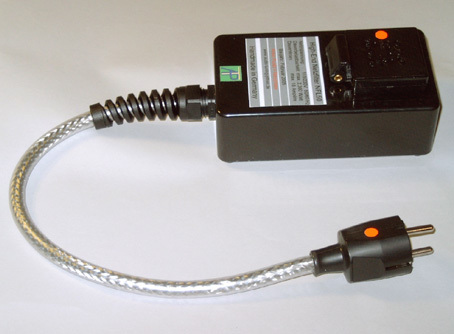 This cord is for self-manufacturing, for further details please refer to "Powercord L125, shielded" (above). Important notice: AUDIO-TUNING-PITHAN does not take any responsibility for damages or injuries which are the result of improper manufacturing or use! Product-description: This socket outlet is our most successful one. It looks rather unspectacular, however convinces with it´s inside values. Among all our socket-outlets, it´s the first choice if you don´t make compromises in sound performance. 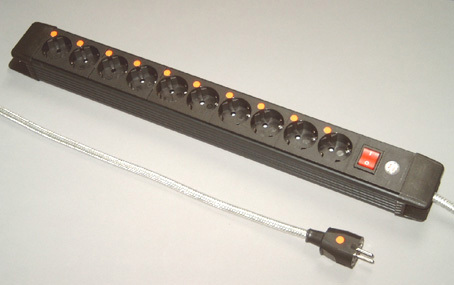 The black socket outlet is made of impact-resistant plastic and has six sockets which are turned. Thus angled-plugs and even smaller mains adaptors can be plugged in. Due to the inside ferrite-filter, high frequency distortions will be reliably eliminated. The permanent load capacity is 16 Ampère or 3600 Watts. 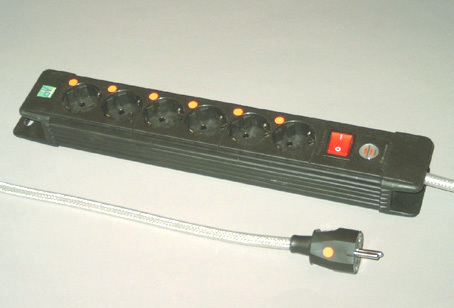 Construction of the multiple socket outlet with filter: A shielded powercord with 1,50 m length is connected. The wires are made out of Oxygen free Copper, the cross-section for each of the three wires is 2,5 mm². This cord offers very low losses and thereby this socket outlet can be used for power-amps without any dynamic-reduction. Despite the cord has a thickness of 11mm, it is flexible enough. Underneath it´s transparent insulation-layer a high density plaited shielding out of tinned Copper is placed. The shielding has contact to the ground earth of the mains plug. By that means the cord is not sensitive against electromagnetical influences and on the other hand can´t influence other cords or components in a negative way. Furthermore, the single wires are twisted to compensate interferences. This is an advantage, especially if it can´t be avoided that the powercord runs close to or even parallel to other signal-cables. Because of it´s transparent insulation it shows an impressive and valuable appearance. It is terminated with a 3-pin high-end mains-plug (phase, ground and protection earth) for best contact. The phase in marked with a dot at the plug and at each socket. The length of the multiple socket connector is 33cm without cable. Different cable-length on demand. 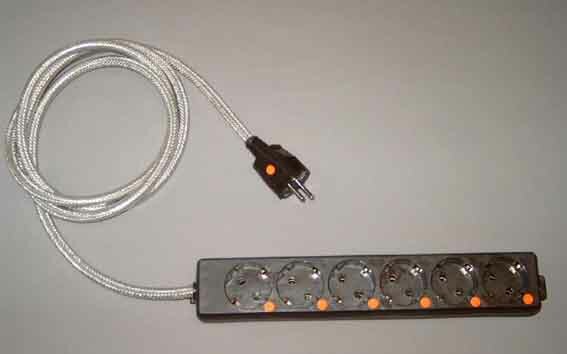 Sound-description: The multiple socket outlet frees – especially together with the also here offered powercord L125 - the connected components from interferences, thus the music is felt pleasenter. The whole frequency range appears more structured, the performance has more calmness and sovereignity. A classification among the great and well-known brands of the world-market seems fully justifiable. Product-description: This socket outlet is a modified product of the well-known german brand Brennenstuhl and is working also in the standard Version at thousands of satisfied High-End-friends. The black socket outlet is made of impact-resistant plastic and has four sockets which are turned by 45 degrees. Thus angled-plugs and even smaller mains adaptors can be plugged in. Due to the inside ferrite-filter, high frequency distortions will be reliably eliminated. The permanent load capacity is 16 Ampère or 3600 Watts. Because of it´s transparent insulation it shows an impressive and valuable appearance. It is terminated with a 3-pin high-end mains-plug (phase, ground and protection earth) for best contact. The phase in marked with a dot at the plug and at each socket. 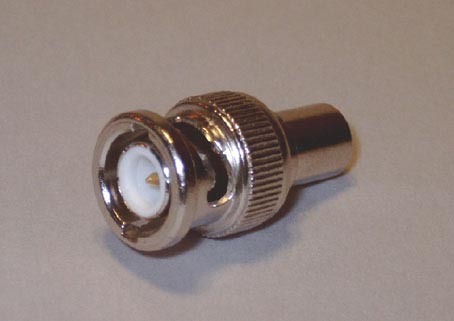 The length of the multiple socket connector is 32cm without cable. Different cable-length on demand. Sound-description: Far above the quality of every do-it-yourself store, this multiple socket outlet frees – especially together with the also here offered powercord L125 - the connected components from interferences, thus the music is felt pleasenter. The whole frequency range appears more structured, the performance has more calmness and sovereignity. A classification among the great and well-known brands of the world-market seems fully justifiable. The socket outlet can be ordered with or without an integrated mains switch, please mark accordant checkbox if no switch is desired. Product-description: This socket outlet is a modified product of the well-known german brand Brennenstuhl and is working also in the standard Version at thousands of satisfied High-End-friends. 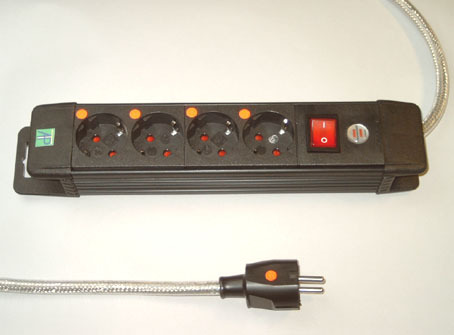 The black socket outlet is made of impact-resistant plastic and has six sockets which are turned by 45 degrees. Thus angled-plugs and even smaller mains adaptors can be plugged in. Due to the inside ferrite-filter, high frequency distortions will be reliably eliminated. The permanent load capacity is 16 Ampère or 3600 Watts. Because of it´s transparent insulation it shows an impressive and valuable appearance. It is terminated with a 3-pin high-end mains-plug (phase, ground and protection earth) for best contact. The phase in marked with a dot at the plug and at each socket. The length of the multiple socket connector is 41cm without cable. Different cable-length on demand. Product-description: This socket outlet has two sockets more as the FNL6S, but besides the same properties. It is a modified product of the well-known german brand Brennenstuhl and is working also in the standard Version at thousands of satisfied High-End-friends. 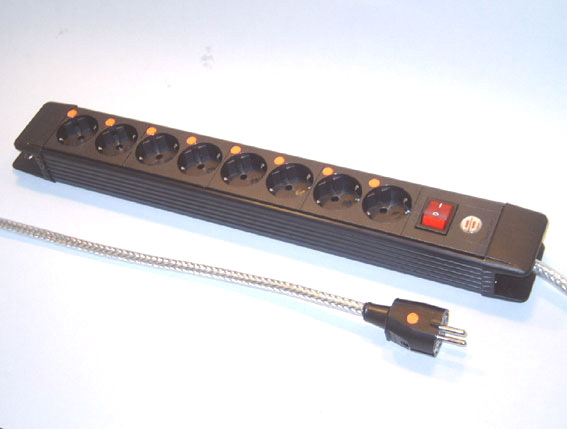 The black socket outlet is made of impact-resistant plastic and has six sockets which are turned by 45 degrees. Thus angled-plugs and even smaller mains adaptors can be plugged in. Due to the inside ferrite-filter, high frequency distortions will be reliably eliminated. The permanent load capacity is 16 Ampère or 3600 Watts. Because of it´s transparent insulation it shows an impressive and valuable appearance. It is terminated with a 3-pin high-end mains-plug (phase, ground and protection earth) for best contact. The phase in marked with a dot at the plug and at each socket. The length of the multiple socket connector is 49cm without cable. Different cable-length on demand. Product-description: This socket outlet has two sockets more as the FNL8, but besides the same properties. It is a modified product of the well-known german brand Brennenstuhl and is working also in the standard Version at thousands of satisfied High-End-friends. 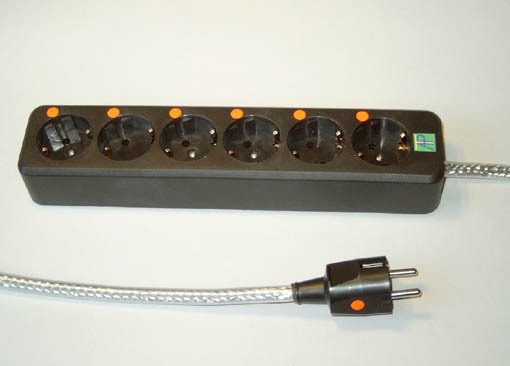 The black socket outlet is made of impact-resistant plastic and has six sockets which are turned by 45 degrees. Thus angled-plugs and even smaller mains adaptors can be plugged in. Due to the inside ferrite-filter, high frequency distortions will be reliably eliminated. The permanent load capacity is 16 Ampère or 3600 Watts. Because of it´s transparent insulation it shows an impressive and valuable appearance. It is terminated with a 3-pin high-end mains-plug (phase, ground and protection earth) for best contact. The phase in marked with a dot at the plug and at each socket. The length of the multiple socket connector is 58cm without cable. Different cable-length on demand. No more fear of thunderstorms! This multiple socket outlet offers perfect protection for your expensive HiFi-equipment or PC against lightning stroke! Product-description: This silver-black socket outlet is made out of Aluminum and sockets out of nonbreakable plastic and has four sockets which are turned by 45 degrees. Thus angled-plugs and even small power-supplies and mains adaptors can be plugged in. The internal wiring consists of massive 2,0 mm² - brass-rails and is designed in contrast to bulk-good end-to-end. Thus contact-resistance with voltage-drops and hum can be avoided. The socket-outlet has a switch, the permanent power load is 16 Ampères or 3600 Watts. Construction of the multiple socket outlet with filter: A shielded powercord with 1,50 m length is connected. The wires are made out of Oxygen free Copper, the cross-section of each of the three wires is 2,5 mm². This cord offers very low losses and thereby this socket outlet can be used for power-amps without any dynamic-reduction. Despite the cord has a thickness of 11mm, it is flexible enough. Underneath it´s transparent insulation-layer a high density plaited shielding out of tinned Copper is placed. The shielding has contact to the ground earth of the mains plug. By that means the cord is not sensitive against electromagnetical influences and on the other hand can´t influence other cords or components in a negative way. Furthermore, the single wires are twisted to compensate interferences. This is an advantage, especially if it can´t be avoided that the powercord runs close to or even parallel to other signal-cables. Because of it´s transparent insulation it shows an impressive and valuable appearance. It is terminated with a 3-pin high-end mains-plug (phase, ground and protection earth) for best contact. The phase in marked with a dot at the plug and at each socket. The length of the multiple socket connector is 36cm without cable. Different cable-length on demand. Sound description: Compared with a normal multiple socket outlet with overvoltage-protection from a hardware store, at first you will recognize a better and clearer detail reproduction. The bass-range is stronger and deeper, the high-range is more realistic. Product-description: This silver-black socket outlet is made out of Aluminum and sockets out of nonbreakable plastic and has six sockets which are turned by 45 degrees. Thus angled-plugs and even small power-supplies and mains adaptors can be plugged in. The internal wiring consists of massive 2,0 mm² - brass-rails and is designed in contrast to bulk-good end-to-end. Thus contact-resistance with voltage-drops and hum can be avoided. The socket-outlet has a switch, the permanent power load is 16 Ampères or 3600 Watts. Because of it´s transparent insulation it shows an impressive and valuable appearance. It is terminated with a 3-pin high-end mains-plug (phase, ground and protection earth) for best contact. The phase in marked with a dot at the plug and at each socket. 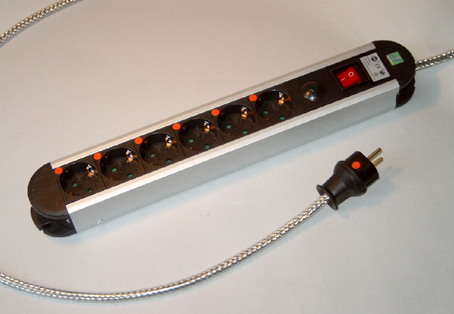 The length of the multiple socket connector is 44cm without cable. Different cable-length on demand. Product-description: This silver-black socket outlet is made out of Aluminum and sockets out of nonbreakable plastic and has eight sockets which are turned by 45 degrees. Thus angled-plugs and even small power-supplies and mains adaptors can be plugged in. The internal wiring consists of massive 2,0 mm² - brass-rails and is designed in contrast to bulk-good end-to-end. Thus contact-resistance with voltage-drops and hum can be avoided. The socket-outlet has a switch, the permanent power load is 16 Ampères or 3600 Watts. Because of it´s transparent insulation it shows an impressive and valuable appearance. It is terminated with a 3-pin high-end mains-plug (phase, ground and protection earth) for best contact. The phase in marked with a dot at the plug and at each socket. The length of the multiple socket connector is 53cm without cable. Different cable-length on demand. Product-description: This is a line-filter for universal use in audio-equipments. 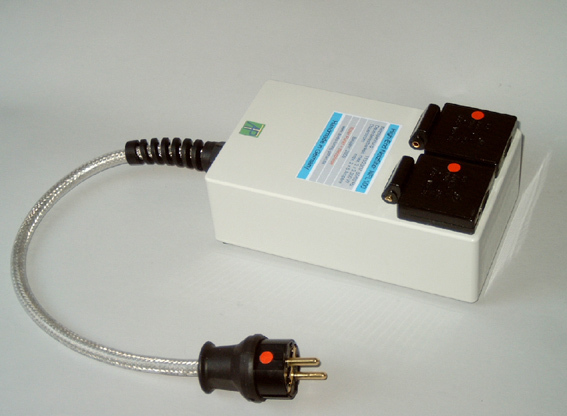 The connected component is supplied with clean line-power. The electricity network at home is mainly "contaminated" by irregular voltage, caused by computers, dimmers or energy saving lamps. Also erratic load of the three-phase power system, caused by fridges, washing mashines, cookers and motors, result in deteriorated music reproduction if heard without a line-filter. The acquainted annoying click during switch on and off of the fridge thermostate, will be reliably suppressed. Sound-description: By means of filtering interferences, the sound gets more freshness, dynamic and is more "life". Aditionally this filter avoids the negative feedback of digital devices, such as CD-, DVD or SACD-player into the electrical power system and all thereby occuring sound-problems. This filter has its best effect if a digital-player is connected, followed by turntable, phono-preamp, and preamp. 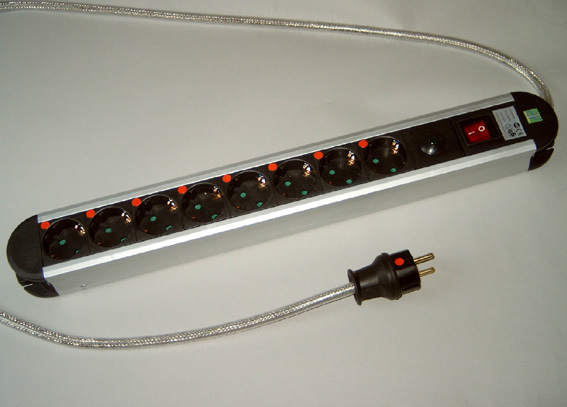 The connection of a multiple socket outlet is also possible because of it´s high maximum load of 2300 Watts. The phase is marked with a dot at plug and socket. 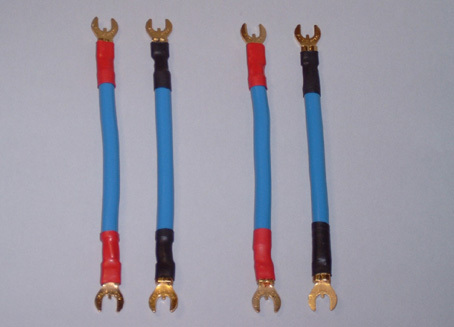 An extension of the standard cordlength of 0,5m to the desired length can be done with only small extra charge. Product-description: This double-line-filter for universal use in audio-equipment was specialy developed, to separate CD-, DVD- or SACD-player from pre- or mains-amplifier and to deliver cleaned line-power to these components and to avoid the so called "digital mud" which deteriorates the sound. It is also the result of many requests from satisfied owners of our single filter NFL50 and a cheaper way to protect two audio-devices. The electricity network at home is mainly "contaminated" by irregular voltage, caused by computers, dimmers or energy saving lamps. Also erratic load of the three-phase power system, caused by fridges, washing mashines, cookers and motors, result in deteriorated music reproduction if heard without a line-filter. The acquainted annoying click during switch on and off of the fridge thermostate, will be reliably suppressed. By means of two fully separated filter-branches a remarkable improvement of music reproduction can be archieved. A special advantage can be attained if you only have two audio-compoments: You can connect the NFL100 directly to the wall-outlet without a multiple socket outlet and thus you will save money! 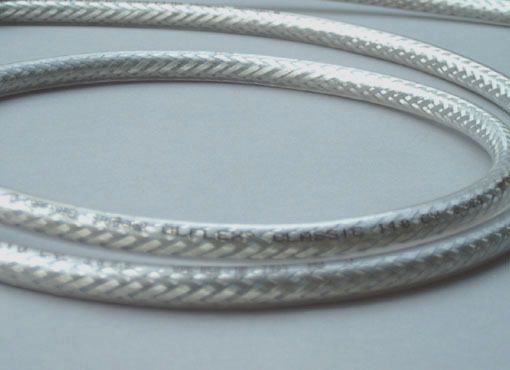 An extension of the standard cordlength of 0,5m to the desired length can be done with only small extra charge. Sound-description: By means of filtering interferences, the sound gets more freshness, dynamic and is more "life". Aditionally this filter avoids the negative feedback of digital devices, such as CD-, DVD or SACD-player into the electrical power system and all thereby occuring sound-problems. Because of its very high maximum load of 2 x 1.800 Watts, it is also suited to connect two powerful mono-amplifiers. The phase is marked with a dot at the power-plug and at each of the two mains-sockets. Pic. similar. For an application-example please click on the photo! 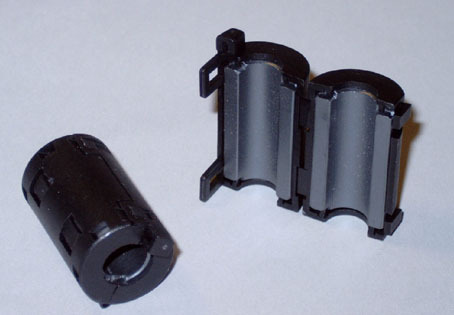 Product-description: This foldable-ferrite is used on powercords and signal-cables. The correct position on the cord is about 10cm from it´s end at the device-side. Because of it´s flap-technic the ferrite can be fixed without pulling cables out or disassembling them. Mode of functioning: After pressing together the two halfs of the ferrite, the magnetic circle is closed. High frequency interferences, which can affect the music signal in a negative way, are transferred into the ferromagnetic material and there transformed into heat energy and thus filtered out. Dimensions: LxBxH: approx. 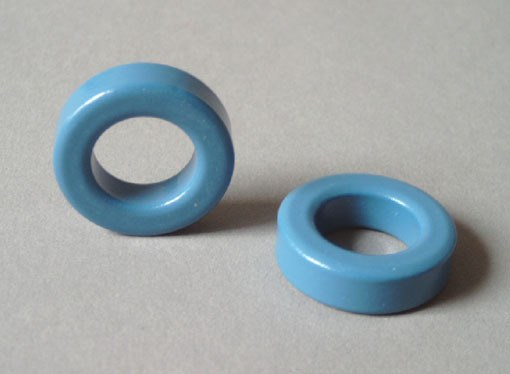 32mmx22mmx22mm. The foldable-ferrite is suitet for maximum cable-diameter of 9mm. If the cord is much thinner, it is recommended, to turn multiple loops around the ferrite. According to availability, delivery will be either in light grey or black. Sound-description: The sound enhancement is by nature smaller as if a line-filter NFL50 is used, nevertheless in almost every case the music reproduction is more realistic, especially, if all cords are equipped with a flapp-ferrite KF35. For an application-example please click on the photo! Description of use: The ring-ferrite is placed on single wires at the end of the mains-cord inside the audio-component. Phase- and groundwire are twisted - according to wire-diameter - 4 to 8 times close around the ring (Please click on photo for application-example). 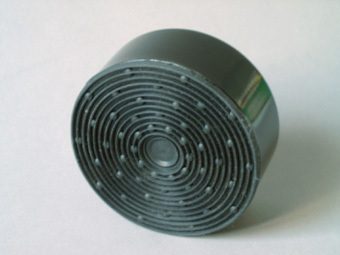 The protection-earth wire has to be connected directly without ring-ferrite. Due to the rounded edges damaging of wires is avoided. Mode of functioning: High-frequency electromagnetic interferences within the range of megahertz, which can influence the music performance in a negative way, are transferred out of the cord-wires into the ferromagnetic material, there they are transformed into heat energy and thus filtered out. Dimensions: Outside diameter: 25mm, inside diameter: 15mm, thickness: 7mm. Sound-description: The improvement is comparable with the KF35, however the positive influence can be greater if it is used correcly. This ring-ferrite is implemented in all approved multiple socket outlets with filter FNL6 to FNL10. Important notice: Before build in, it is absolutely necessary to disconnect the component from mains power! AUDIO-TUNING-PITHAN does not take any responsibility for damages or injuries which are the result of improper manufacturing or use! Pic. similar. For an internal picture and test-report of magazine STEREO please click on the photo! Product-description: This Termination-Cinch-plug with its approved four-segment technic contains a highly precise metal-foil resistor of 75 Ohms. The tolerance is only 1% from nominal value. For best contact, the resistor is soldered with silver-bearing solder. It is 24 carat gold-platet and thus not sensitive against corrosion, e.g. in areas with high humidity. Purpose: All unused in- and outputs of digital devices should be terminated with its so called wave resistance. Otherwise digital interfernces can superpose the musical signal and consequently affect the reproduction in a negative way. This matter of fact is for example well known in the high-frequency-technic for TV-antennas, where this resistance is 60 Ohms and if wrong terminated, double-images appear which are the product of signal-reflections . At open signal-outputs of digital audio components similar effects can appear. This plug is the cheapest way, to avoid these negative sound-influence due to reflected music-signals. Range of use: This plug has to be attached to the digital in- and output-socket of CD-player, DVD-player, SACD-player or any other open digital in- and output. Sound-description: Normally the music reproduction is freed from roughness, the higher frequency range looses its sharpness. Also the clearity and understandability of voicees can be enhanced. Pic. similar. For an application example and test-report of magazine STEREO please click on the photo! Range of use: This plug has to be attached to the digital in- and output-socket of CD-player, DVD-player, SACD-player or any other open digital in- and output and is fixed by a slight right-turn. For further details please click on the photo! Product-description: This cable is a neutral high-quality link to connect CD-, SACD-, DVD-player, tapedeck, turntable, pre- or integrated amp. It is suited for connection of power-amps as well. However a special trump this cable plays if set between analog-turntable and phono-preamp. The reason is its double shielding against negative interferences on the tiny MC or MM-signal. Construction of the cable: Parallel-symmetric with two massive OFC-pure Copper-wires (99,999% Cu) of 0,64 mm² cross-section each. The capacity is extremely low, only 28,5 pF/m @ 1kHz. This means in clear text: The cable can be connected unconsidered to high-impedance outputs (> 2k Ohms) of source-components without loss of highest frequencies. Also running the cable at long distances is no problem. If theoretically laid at a length of 100 m, this cable would have a frequency attenuation of disregarding 0,3 dB @ 10 kHz! By means of the tight shielding-netting and aditionally shielding-foil, the cable is totally insensitive against high frequency interferences. The insulation is violet, the outer diameter is 8mm. Termination: red = signal, green = ground. Due to the complex shielding, the cable is a little inflexible, however the minimum bending radius of 6cm, is still a small value. 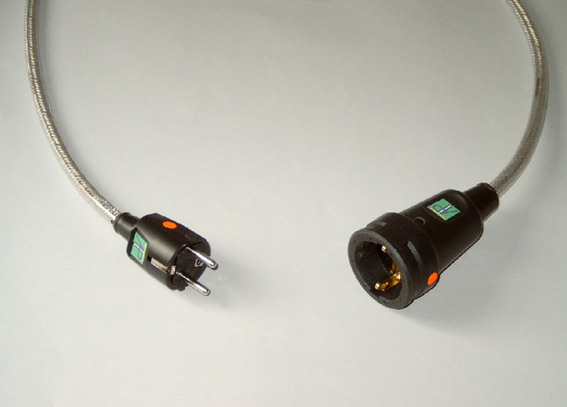 The termination is done by cinch-plugs of the well-known high-end-brand Hicon. 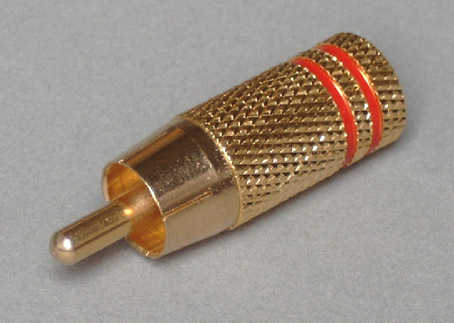 They are 24 carat Gold-coated in all contact areas, the ground-contact has an 8-segment-span-technic for best connection and lowest transition resistance to the device-socket. The middle-pin also has a spring-contact. Delivery: 2 x 1m (stereo-pair). Sound-description: The cable is superior to all low-cost connections which were delivered together with the components. All negative effects coming from interaction between the thin uninsulated single-wires within the two conductors, which often is found at highly flexible cables, is completely not applied. The music performance is absolutely „cleaned“ and airy with enormous precision and richness in detail. The cable needs a "burn-in" time of approx. 20 to 30 hours for full development. Please allow a delivery time of about one week. This cable is for self-manufacturing, for further details please refer to "Audio-cable PSK2-L100" (see above). Product-description: This cable is designed for connection between amplifier and speaker. It brings all musical information unaltered and with full dynamic range to your ears. Construction of the cable: Designed in four-wire technic. That means, there are two wires of 1,5 mm² cross-section each OFC-pure Copper (99,999% Cu) at a time switched parallel in cross-mode. By using this feature, a very good compromise between low inductivity and low capacity is archieved. Hence the total cross-section for both the back and forth-wire in each cord is powerful 3mm². This cable can be unconsidered layed without loss of musical information at a maximum length of 10m. The outside blue insulation is very robust. The outside diameter of the very flexible cable is 8mm. Connection: red = plus (signal), black = minus (ground). The termination is realized by 24 carat gold-coated lugs. The diameter for connecting bolts is 6-8mm if terminated with the high-value Oehlbach lugs. The smaller lug-version allows connecting of 5mm bolts. It is also available for additional charge of EUR 8,-/each with terminating Bananas. 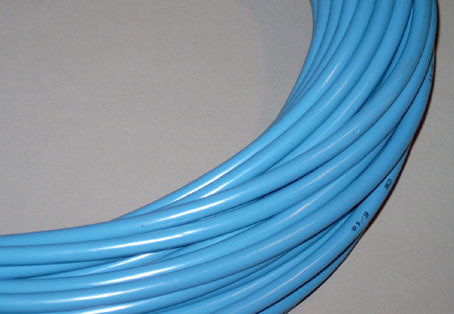 The cable is available at length between 1 and 10 meters, in one-meter steps. Delivery if single-wiring is always a stereo-pair at the choosen length, that means, if a cable of e.g. 3 meter is ordered, you will get two cords of 3 meters each. Delivery if bi-wiring: Two stereo pairs of the choosen length are delivered, termination is done at the amplifier-side with 2 common lugs per channel, at speaker-side with 2x2 lugs per channel (separated for bass- and mid-/high-range). Sound-description: If the present, in many cases too thin speaker-cables, are exchanged to the L300, you will first realize a higher fidelity in timbre and a cleaner brilliance-range of the instruments. If the bi-wiring version is used, mutual influences of different frequency-ranges are minimized, because the cables are separated. This usually is expressed in a more natural and spatial music reproduction. However these improvements often are not instantly audible, the cable needs a "burn-in" time of approx. 10 to 20 hours for full development. This cable is for self-manufacturing, for further details please refer to "Speaker-cable L300" (above). 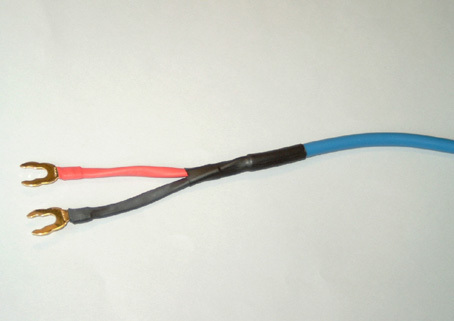 Product description: If you use single-wiring speaker cables, these high-quality bridges replace the thin connecting-plates at the speaker-terminal, which were delivered by the manufacturer. The bridges are made out of the same sound-optimized cable as our successful Speaker-cable LS300. Construction of the bridges: Designed in four-wire technic, that means, there are four single wires of 1,5 mm² cross-section each OFC-pure Copper (99,999% Cu) switched parallel at a time. By using this, a total cross section of powerful 6mm² with very low resistance is archieved. The blue insulation is very robust. 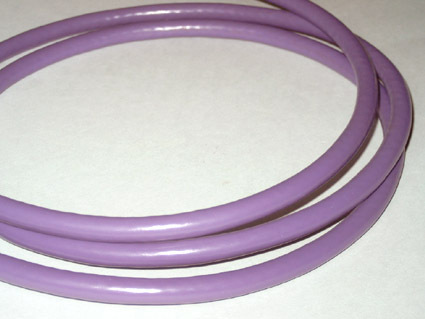 The outside diameter of the flexible cable is 8mm. Connection: red = plus (signal), black = minus (ground). The termination is realized by 24 carat gold-coated lugs of the high-end brand Audio Spec. It is also available for additional charge of EUR 8,-/each with terminating Bananas. The lengt of each bridge is 15cm, other length are available on demand. The maximum distance between the connecting speaker-sockets is 14cm and the maximum diameter for connecting bolts is 7mm. Delivery amount per set are two stereo-pairs, that means four peaces, two bridges are merked red and two black. Connection: Switch off your amplifier and disconnect your speaker cable from the terminal of the first speaker. Now connect the "+" or red marked speaker-socket of the mid-highrange with the also "+" or red marked speaker-socket of the bass-range with a red maked bridge. Then connect the "-" or black marked speaker-socket of the mid-highrange with the also "-" or black marked speaker-socket of the bass-range with a black marked bridge. 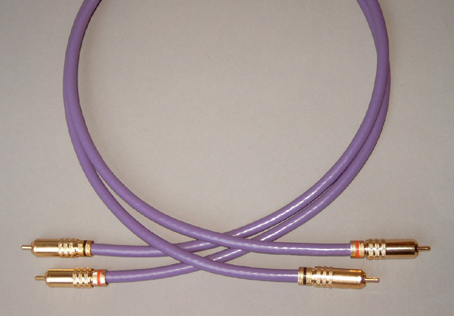 Connect the speaker cable to the lower (bassrange)-terminal to obtain optimum sound-quality. Fix all connecting screws properly. Proceed with the second speaker in the same way. Sound description: After a burn-in-time normally you will notice a clearer high range. Also the sound will be more spatial, instruments and voices are easyer to locate. Pleace consider a delivery time of about one week. Product-description: This is a nicely designed and excellent aligned resonance and vibration absorber. It is made out of a combination of a high density metal-alloy and a layer of special rubber. Due to its profiled non-slip rubber layer at the bottom, the absorber avoids reliable scratches on each component surface. Purpose of use: Even if you own a high-quality-audio-component, the manufacturer often saves money while constructing the device-cabinet. Thus the case is not stable and sensitive for mechanical vibrations transferred from the speakers through the air. You easily can check this by knocking on top of the case. If rattling is audible, this absorber will eliminate negative resonances. Because all cases of components are exposed to sonic waves, in particular low and medium frequencies activate housings to vibrate audible. Apart from this negative effect electronically components inside the case like resistors, capacitors and coils, can react on these vibrations with the consequence, that the music is modulated and the performance is declined. These modulations result for example in deterioration of precision. Range of use: The absorber is simply placed on top of the case of CD-player, DVD-player, SACD-player, amplifier, speaker or other HiFi-components. The correct position is found, if the absorber lays on a resonance-knot, e.g. in the middle of a case-covers. Mode of functioning and sound description: Because of its high weigth, the absorber couples itself via the absorbing rubber layer to the case-frame and transferres vibration energy into heat energy. The sound performance convinces with little clearer and deeper bass range and a more precisely and spatial image. Product description: This high quality component platform ist manufactured from genuine birch-wood multiplex by a carpenter master craftsman. 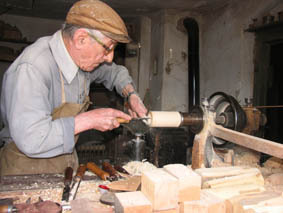 21 wood-layers are glued together crosswise under high pressure. Thus the platform archieves a very high stability and is free of resonances. The surface is double painted with semi gloss lacquer and is scratch resistant. The platform has three adjustable feet out of the composite Clearlight Audio RDC-2 for save and waggle-free stand. Feet out of this material won several tests between even much more expensive resonance dampers (see also detailed report). 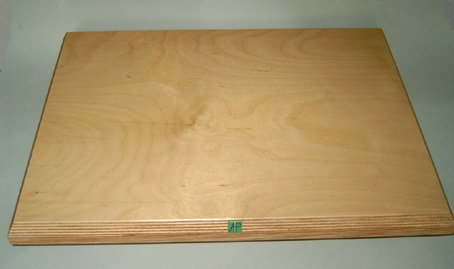 After leveling the plate horizontal, the feet are fixed by means of the counter nut. The rounded peaks of the cones reliably avoid scratches on sensitive surfaces. The distance of the two front-cones is large enough to place longplay-records between them under the platform. Since the dimensions are 480x360mm, also large components can be put on the platform. The HiFi-component is coupled via three cylindric elements made out of brass or aluminum (included in delivery). Because the device-bottom has direct unflexible contact to the platform, a deflection of resonances is possible in an optimized way. Range of use: The platform GB-RDC2 is designed as a base for all HiFi-components to decouple them from the ground and to lead interferring mechanical energy out of the device. These unwanted vibrations are created by transferred sound-energy from the speakers to the ambience and affect the HiFi-components in a negative way. Mode of operation and sound description: Undesired vibrations from the HiFi-component are transferred by inner friction into heat energy. Because of the extraordinary absorbing-properties of the RDC-2-cones, vibrations of the ground, like table or shelf - regardless of which material, e.g. wood, glass or metal - are not transferred into the platform. The soundstage gets more contour and attack, you will detect a much better musical dynamic. Only if placed on this platform, components can utilise their fully potential. The best improvements can be achieved together with source-components like analog-turntables, CD-, DVD-, SACD-player, since these devices react most sensitive to vibrations. Since wood is a natural product, deviations in color, brightness and grain of the surface can not be avoided and are no reason for complaints. Other dimensions and surfaces on request. Please allow a delivery time of about 2 weeks. Start at the beginning and renovate your power-management completely! Exchangement of low-quality standard-components at different positions in your equipment even results in bigger sound enhancement! If purchasing one of our tuning-combinations, you save a lot of money compared with the sum of single parts. This money you can for example expend for new CD´s or DVD´s! You can select between all different multiple socket outlets! Combination 1: Only EUR 70,00 plus shipping-costs! You save EUR 3,60 compared with the purchase of single components! Combination 2: Only EUR 106,00 plus shipping-costs! You save EUR 5,40 compared with the purchase of single components! Combination 3: Only EUR 141,00 plus shipping-costs! You save EUR 7,20 compared with the purchase of single components! Combination 4: Only EUR 145,00 plus shipping-costs! You save at least EUR 7,60 compared with the purchase of single components! Combination 5: Only EUR 181,00 plus shipping-costs! You save at least EUR 17,40 compared with the purchase of single components! Combination 6: Only EUR 216,00 plus shipping-costs! You save at least EUR 11,20 compared with the purchase of single components! Combination 7: Only EUR 223,00 plus shipping-costs! You save at least EUR 11,80 compared with the purchase of single components! Combination 8: Only EUR 259,00 plus shipping-costs! You save at least EUR 11,70 compared with the purchase of single components! Combination 9: Only EUR 294,00 plus shipping-costs! You save at least EUR 13,60 compared with the purchase of single components! Combination 10: Only EUR 329,00 plus shipping-costs! You save at least EUR 15,50 compared with the purchase of single components! Combination 11: Only EUR 259,00 plus shipping-costs! This combination is highly recommended, if you have only two devices to power up and hence no multiple socket outlet is necessary. 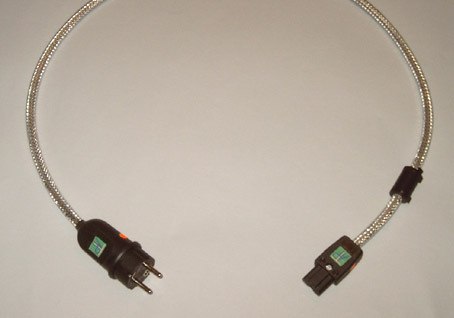 The powercord for the Double-Line-Filter can be choosen in the desired length. You save EUR 11,80 compared with the purchase of single components! All prices are endprices plus Shipping costs. With my order I confirm that I have read, anderstoond and agreed upon all points of the General Business Conditions. Please fill in all fields of the following order form completely and send your order with the button "Submit"! You can also order by phone, letter or E-Mail. All fields signed with * are obligatory! * If other country, which? Thank you very much for your compulsory order to AUDIO-TUNING-PITHAN. After pushing the Buy now-button, you will receive an E-Mail which confirms the reception of your order and a detailed acknowledgment of order with bank details and estimated delivery time.